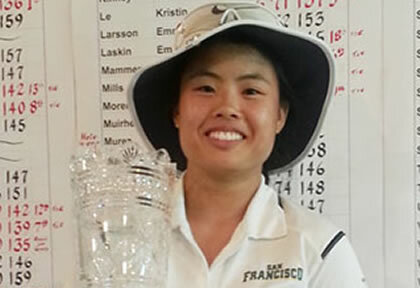 The State Fair Women’s Championships, contested at Bartley Cavanaugh Golf Course in Sacramento, CA, was attended by 80 women from all over California. 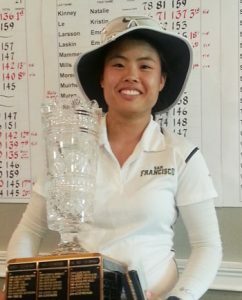 The Championship flight, played at scratch, was won by Vanessa Ha from USF, scoring 65-70 for a 135 total. Vanessa won a tough battle, winning by just a stroke over Abegail Arevalo. On the par 3 twelfth hole, Marni Murez made a hole in one using a nine iron. Net Champion is Olivia Najera at net 128, winning by two strokes. Olivia won this last year with an even lower score. It’s always a pleasure to see defending champions succeed again. Senior Net Champion is Vicki PHilpott at 135. 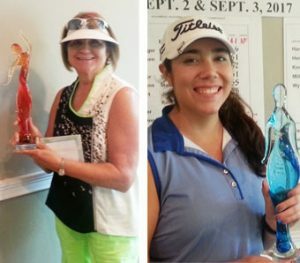 Vicki beat last year’s Senior Champion Kathy Woodward by just a stroke. This could easily resulted in another champion repeat. Not to be. Hayden Mammen 68-71–139 Championship Flight Cont…..